The Israeli occupation forces (IOF) on Thursday evening kidnapped a Palestinian youth after they opened fire on his car west of Ramallah province. 29-year-old Muadh Surur was kidnapped by the IOF as he was driving near Ramallah’s western town of Deir Qidis, in the central occupied West Bank. Surur’s car collided with another car before he was kidnapped by the occupation forces and dragged to an unknown destination. 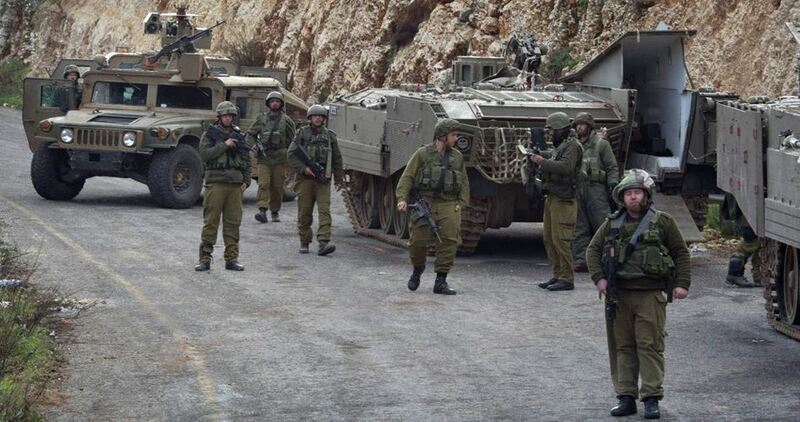 Israeli soldiers abducted, on Thursday evening, a young man near the central West Bank city of Ramallah, after opening fire at his car, and a child in Hebron, in southern West Bank. 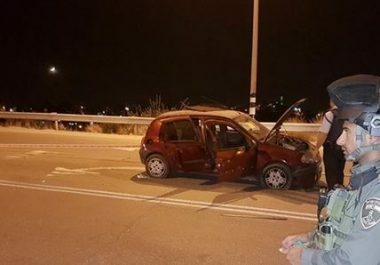 Media sources said the soldiers opened fire at a man, driving near the entrance of Ni’lin village, west of Ramallah, and abducted him, after his car collided with a car of an Israeli colonist. The army claimed the accident was a “deliberate attack,” and fired live rounds at the car’s wheels, before thoroughly searching the car, but their search came out empty. The abducted driver has been identified as Ma’aa No’man Srour, 29, from Ni’lin village. In addition, the soldiers abducted a child, identified as Ali Rajabi, 14, near the Ibrahimi Mosque, in Hebron, and took him to a nearby interrogation facility. Lawyer of the Prisoners and Ex-Prisoners Affairs Commission on Thursday said that the Beersheba District Court decided to delay its response to the petition filed lately by the family of prisoner Rajab al-Tahan. The family, with the help of the Commission, has filed a petition to the Israeli court demanding that Tahan be allowed to visit his cancer-stricken son who had undergone a failed bone marrow transplant. Rajab is one of the Palestinian prisoners who were freed in the Wafa al-Ahrar prisoner exchange deal then re-arrested more than three years ago. He is now serving a life sentence in Nafha prison. Prisoners and Ex-Prisoners Affairs Commission said that prisoner Belal Diab on Thursday entered his 9th day of the hunger strike he has launched in protest at his administrative detention in Israeli jails. Lawyer Karim Ajwa said that Diab is suffering from many health problems that have worsened following his transfer from Negev prison to Ashkelon prison on Sunday. 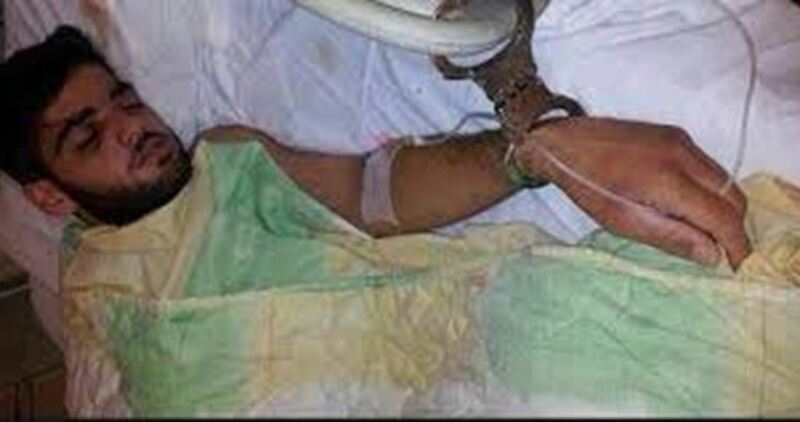 Ajwa added that Diab is being held in a very small cell that is infested with insects, noting that the Palestinian prisoner has only one blanket and is not allowed to change his clothes. He pointed out that Diab is suffering from extreme fatigue, chronic headache, and sharp pains in the abdomen and the joints, affirming that Diab refused to go to the prison clinic and undergo medical examinations and stopped drinking water for two days and a half in protest at the harsh detention conditions he is kept under. The lawyer stressed that Diab will not suspend his hunger strike unless his administrative detention is ended. Prisoners and Ex-Prisoner Affairs Commission reported that the Israeli occupation authorities issued a 6-month administrative detention order against Diab on 14th July 2017, explaining that more than three months later, Diab started an open hunger strike in demand for his release after the appeal filed against this order was rejected. Diab was arrested several times before and he previously waged a 79-day hunger strike in Israeli jails also in protest at his administrative detention. The Israeli Supreme Court is scheduled to hold a court hearing on Diab's case on 30th November after it has rejected the appeal filed against his administrative detention. The Israeli occupation forces (IOF) at dawn Thursday stormed different West Bank areas and kidnapped several Palestinian citizens, including an ex-detainee. 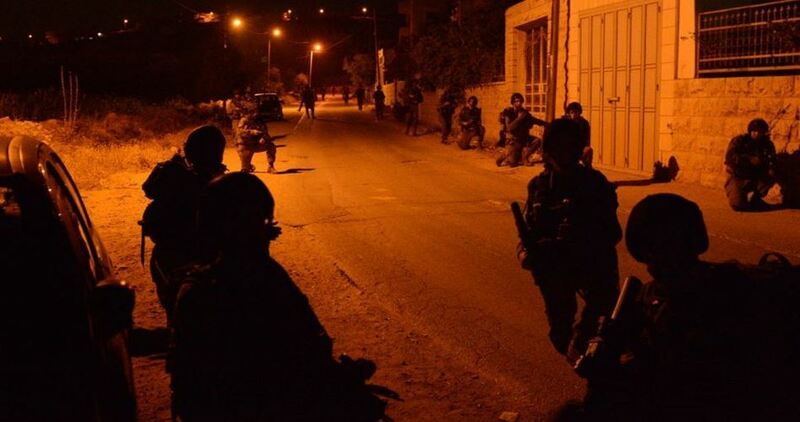 According to local sources, the IOF kidnapped an ex-detainee from his home in Beit Furik town, east of Nablus city. The detainee was identified as Mahmoud Hanani. 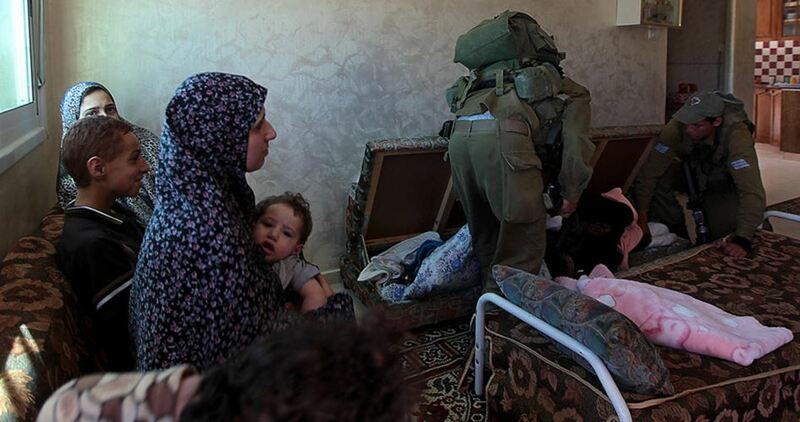 In Jenin, a Palestinian young citizen was taken prisoner following a violent IOF raid on his home in Qabatiya town. Another young man was also kidnapped last night during his presence in Israel (the 1948 occupied lands). He was identified as Mohamed Zakarna from Qabatiya town. The IOF also detained two young men called Ma’an al-Suwaiti and Mohamed al-Lidawi during overnight raids on homes in Jericho. An Israeli parole committee on Wednesday decided to postpone a hearing to look into a request for early release filed for Palestinian prisoner Sami Abu Diyak, who suffers from a serious health problem. According to the Palestinian Commission of Detainees and Ex-Detainees’ Affairs, the Israeli prison service’s parole committee said it would study an early release request for prisoner Diyak on November 21. The committee took its decision at the behest of the Israeli prosecutor at the pretext of giving the prison service sufficient time to prepare a supplementary medical report for the one submitted earlier by the prison doctor on the health of the prisoner. 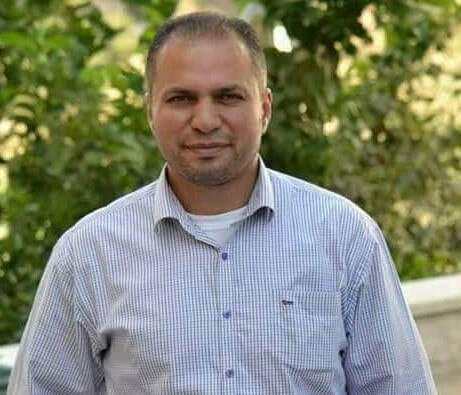 Lawyer Iyad Misk, from the Palestinian Commission of Detainees, said that the commission would send a doctor soon to visit prisoner Diyak and prepare a real medical report on his health condition before the Israeli parole committee convenes its session. Prisoner Diyak, from Jenin city, is serving three life prison terms and he suffers from malignant intestinal tumors. Hamas leader in Tubas Faze’ Sawafta was released on Wednesday evening from Israeli jails, where he had been held administratively, with neither charge nor trial. 46-year-old Sawafta was released by the Israeli occupation forces at the Salem military checkpoint, west of Jenin city. His family members were in attendance. 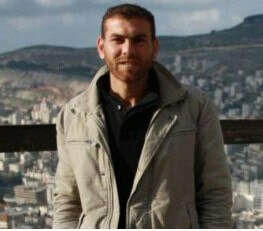 Sawafta was kidnapped by the occupation soldiers from his home on April 17, 2017, and sentenced administratively to four months in Israeli prisons. The occupation authorities renewed his administrative term for the second time. Sawafta, father of four children, had spent over 15 years in Israeli jails, mostly in administrative detention. His brother Assem was killed by the Israeli army in 2002. The Israeli Occupation Authorities (IOA) issued, over the course of 10 days, 22 administrative detention orders against Palestinian prisoners, including one woman. 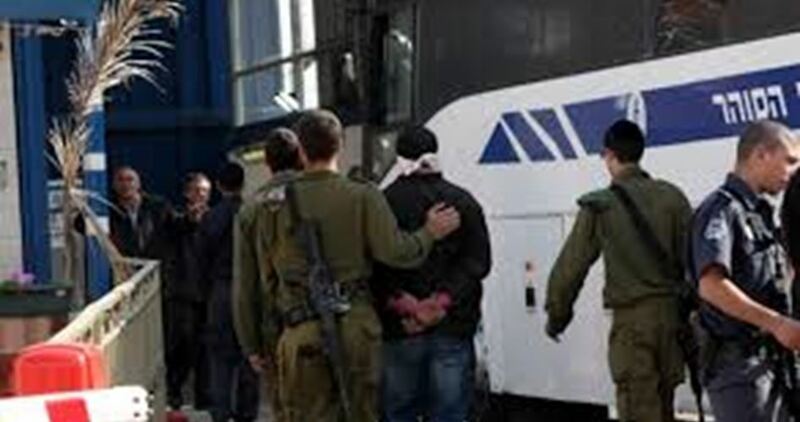 The Palestinian Prisoner’s Society (PPS) affirmed that 22 orders were issued between October 15 and 25. A mother of five, identified as 30-year-old Khadija Rabee from the Yatta town in the southern West Bank al-Khalil district, was sentenced to three months of administrative detention. Four detainees received administrative detention orders for the first time, while the rest had their administrative detentions renewed, PPS said. Over 500 Palestinian prisoners are currently held under administrative detention policy, Israel’s widely condemned policy of internment without charge or trial. 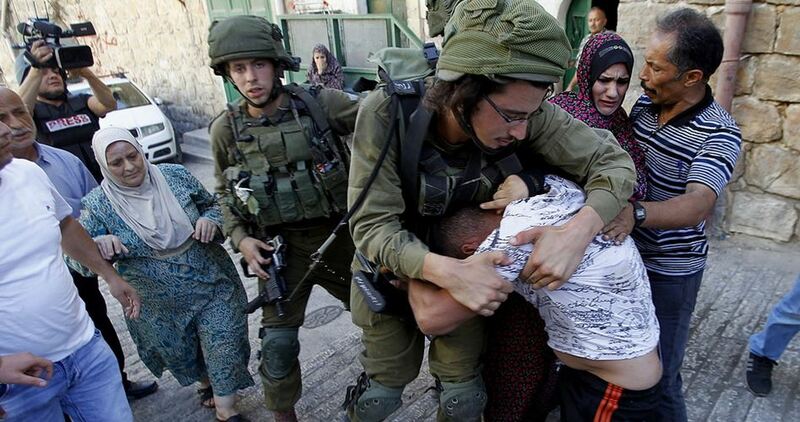 Israeli police released, over the past two days, 34 Jerusalemite youths and extended the arrest of seven others. 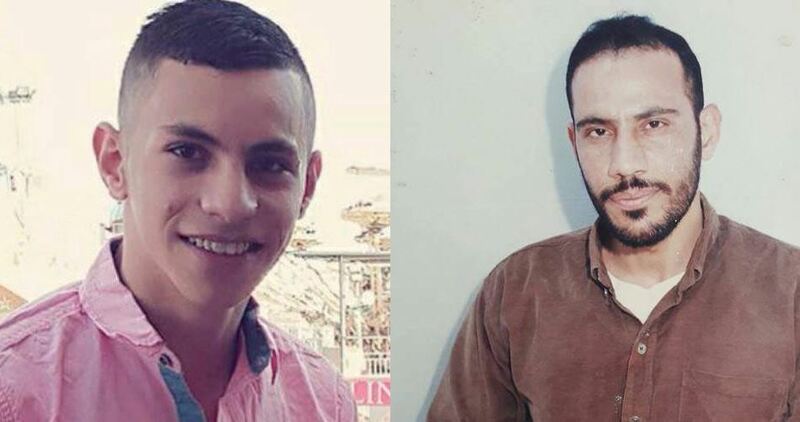 Head of the Committee of Jerusalemite Prisoners' Families, Amjad Abu Assab, told Quds Press that 34 youths, from Issawiya town north of the occupied city of Jerusalem, were released. The detention of seven other Jerusalemites, including minors, was extended to be then brought to court. Earlier on Monday, Israeli police arrested 51 Jerusalemites, mostly minors, for allegedly being involved in stone-throwing attacks. A joint report released by B'Tselem and HaMoked organizations on Wednesday revealed egregious violations of human rights committed by the Israeli occupation forces (IOF) against Palestinian children in Jerusalem. The report said that the IOF soldiers arrest the Palestinian children in the middle of the night, unnecessarily handcuff them and force them to spend a long time waiting for their interrogation to begin without giving them the opportunity to speak to their lawyers or families and without informing them that they have the right to remain silent. The children are then held under harsh detention conditions for days and weeks even if the interrogation is over. All this in some cases is accompanied by threats, insults and physical abuse before or during the interrogation. According to the two human rights organizations, once the boys are arrested, their families are excluded from the following proceedings, which means that the boys are forced to endure this ordeal alone. The report affirmed that the Israeli authorities pressure the detained Palestinian children to sign involuntary confessions that are sometimes written in a language they do not understand and which are later used as the basis for the indictments served against them. The report, which was made based on testimonies given by 60 Palestinian minors who had been arrested and interrogated in Israeli jails, underlined that the Israeli authorities disregard the laws stipulating that minors must be held in age-appropriate conditions which include adequate food, health services, access to education, and visits by social workers and family members. B'Tselem and HaMoked said that Israel tries to provide a legal cover for these systematic and extensive violations of the fundamental human rights of hundreds of minors every year. The human rights report added that there is no possible justification for the extreme measures Israel's law enforcement system uses against East Jerusalem minors, noting that the reality described in the report is part of the Israeli control mechanism over the Palestinian population of East Jerusalem. 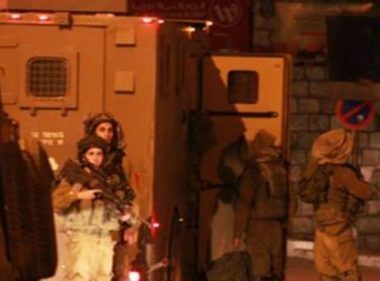 The Israeli occupation forces (IOF) on Wednesday evening kidnapped three Palestinians from the West Bank. According to local sources, the IOF kidnapped Mu’een Hamamra, 20, as he passed through a military checkpoint set up near Bazariya village, northwest of Nablus. 30-year-old Ahmed Khaliliyeh was also kidnapped by the occupation soldiers at Checkpoint 17 near Nablus. The IOF further stormed Fakou’a village, east of Jenin, and kidnapped the Palestinian youth Samer Abbas, 21. At the same time, clashes burst out between the Israeli forces and Palestinian young men in the vicinities of the Quds University, in Jerusalem’s eastern town of Abu Dis. The occupation forces attacked Palestinian protesters with spates of teargas canisters and acoustic grenades. Fierce clashes also flared up in Anata town, northeast of Occupied Jerusalem, after Israeli army patrols stormed the area. 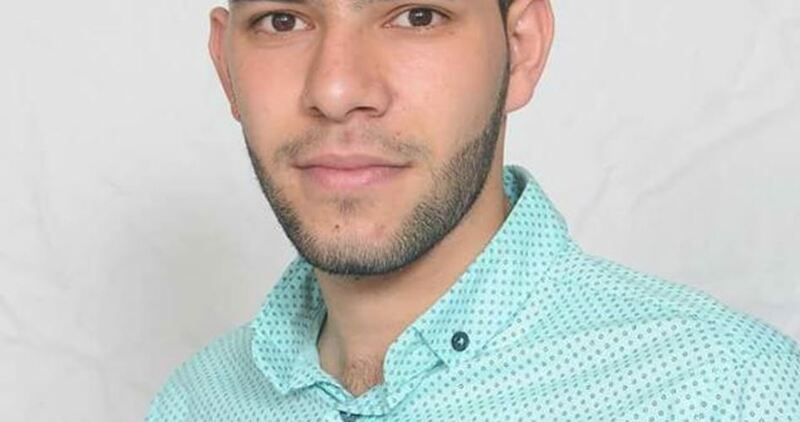 Israeli Occupation Authority (IOA) extended the administrative detention order against Palestinian prisoner Anas Qefisheh, from al-Khalil, to three months for the fourth time. MP Hatem Qefisheh said that he filed an appeal to the Israeli Supreme Court demanding the release of his son, who was arrested on November 27, 2016. The court, however, responded by telling his lawyer, Ashraf Abu Esneina, about the extension order which was for three months instead of four in the previous times. 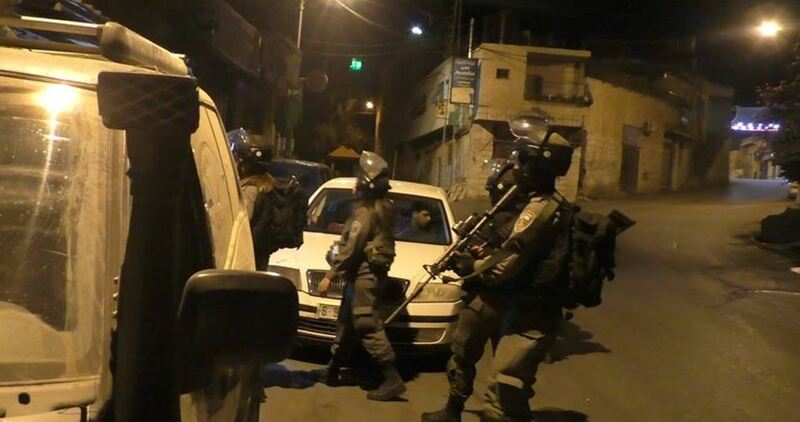 Israeli occupation forces (IOF) kidnapped last night and at dawn Wednesday several Palestinian citizens from their homes in different West Bank areas and confiscated a Palestinian-owned car in al-Khalil. According to a statement released by the Israeli army, 14 wanted Palestinians were taken prisoners during West Bank campaigns. Local sources told the Palestinian Information Center (PIC) that Israeli soldiers stormed Jenin refugee camp in the northern West Bank, ransacked homes and kidnapped three young men. They added that violent clashes broke out between local young men and soldiers during the IOF campaign in the camp. In al-Khalil, three citizens were kidnapped from their homes at dawn in Beit Ummar town. One of the detainees in Beit Ummar was identified as Wahid Abu Mariya, an Islamic Jihad official who spent about 20 years in Israeli jails.